UNLIKE A CAR WHERE YOU CAN JUST DRAIN THE OIL OUT OF THE ENGINE FROM THE UNDERNEATH A PWC HAS TO BE SUCKED OUT, THIS IS WHERE THE HTMOTO OIL EXTRACTOR COMES IN HANDY. This versatile tool is great for extracting oil and other liquids (Not for us with fuel). Use it with your PWC, snowmobile, ATV, boat, lawn mower, etc. 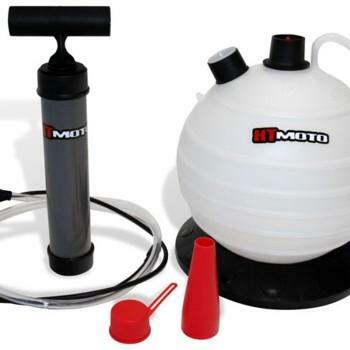 Holds up to 6 liters (1.57 gal) in this sturdy portable container. Removable pump included.